I think it was very unnecessary that hats pretty much disappeared from fashion after the 60s. But back in the good old - stylish - days, women would walk down the streets with the sole purpose of showing off their new spring/fall hats. So when The Hallwyl House let people who wore a hat get in to see their exhibition Hats Off for free, on the last day of the show, milliner Marika Smith got the idea to gather the visitors and create an old fashioned hat parade from the museum to Djurgården (The Royal Game Park), where we ended our parade with a picnic. 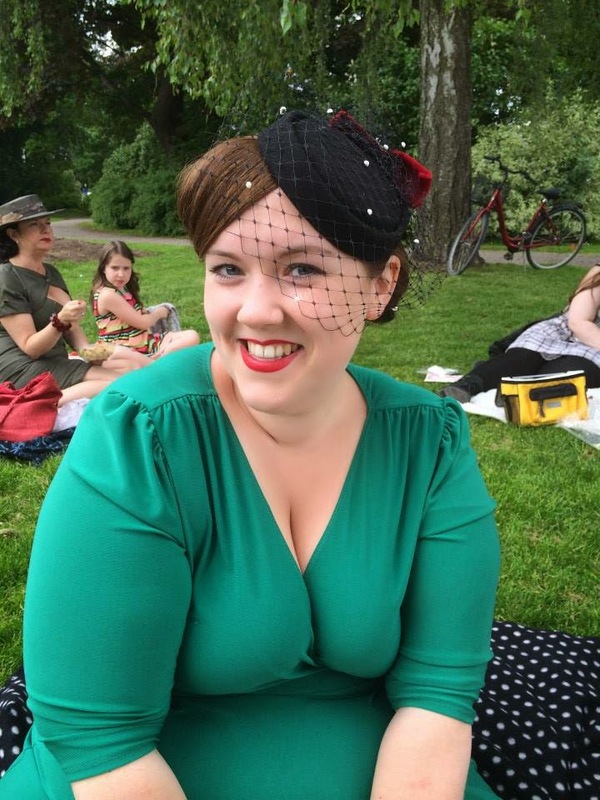 I wore a vintage felt hat from the 40s together with my outfit from Dalena Vintage, that I wrote about here! The hat exhibition was fun to see. But they should have accompanied the hats with photos of people actually wearing them. These head-decorations can look so different on a head, from what they look sitting on an exhibition stick! 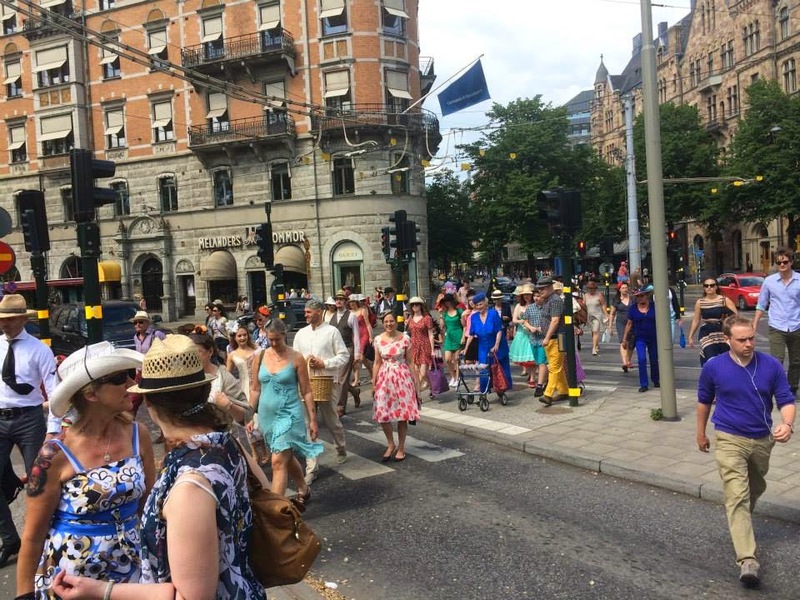 When leaving The Hallwyl House, we were quite a few hat-wearers that paraded away through the streets of Stockholm, meeting many smiling onlookers on our stroll. The weather was perfect for a picnic! Not cold, but not too hot either. ...And she had also baked heavenly vanilla buns for everyone! This was my first picnic for this summer, but I hope for many more!